Tomas LEKUNAS | Assist Sport Agency. Agencia, manager representación deportistas, jugadores baloncesto. Former top European level prospect at SF who was among leaders of Lithuanian U-17 and U-18 national teams and was invited to Basketball without Borders in 2010. Had attitude problems, that prevented him from fulfilling his potential earlier. Can post up on the average small forward, can drag a power forward outside with his shooting ability. Willing to make hustle plays. 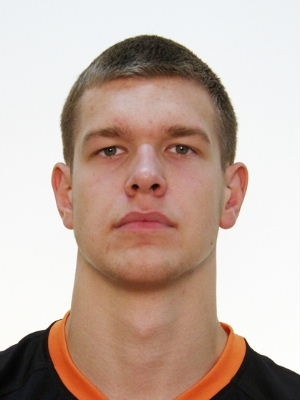 More strong than explosive, but he's still a very capable athlete who outmuscled most players in Lithuanian league. Good rebounder, especially for his size. Baltic Basketball League Champion in 2018.